We welcome our readers to invest in this site and get profits from revenue generated from the site, whether this is revenue from publications, advertising, affiliate income, or other business revenue, these funds will be paid to STATS shareholders. Check out the STATS shares at Alcurex for a stake in the profits earned by this site. Good news is the site is growing, and so are the options for increasing revenue generation. While we have had some success with the ICOSBOOK.com site, the marketing and sales side have been slow to the punch on securing new leads and generating deals. We hope to reinvigorate the icosbook.com site in February in order to showcase new ICOS and earn revenue for our STATS shareholders. As you can see the traffic has been increasing month over month, and so has our pay-per-click revenue. Although our pay-per-click revenue is quite small, it is still showing strong month over month growth. Maybe in a few years, this revenue will be worthwhile if the growth trend continues. As our shareholders know, we are planning on attending the Bitcoinsuperconference, and have prepared a short overview for potential investors. One of the things we would like to accomplish at the conference is to secure an advertising investor to buy a banner on our site for the year. We hope to sell the banner space for the year for $10,000, as it will give our advertiser plenty of exposure. 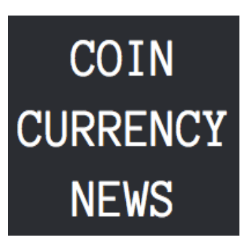 With some of the funds raised, we will try to increase the exposure of coincurrencynews.com to Google through advertising and other page ranking tactics to increase traffic to the site. We are also looking at hiring an individual or individuals to work on the icosbook.com site on a commission-based format where a percentage of earnings are used to purchase STATS shares as a means to increase shareholder value. We wish to thank all our shareholders for their patience, and look forward to increasing the site’s coverage and growth into 2018, and well into the future!